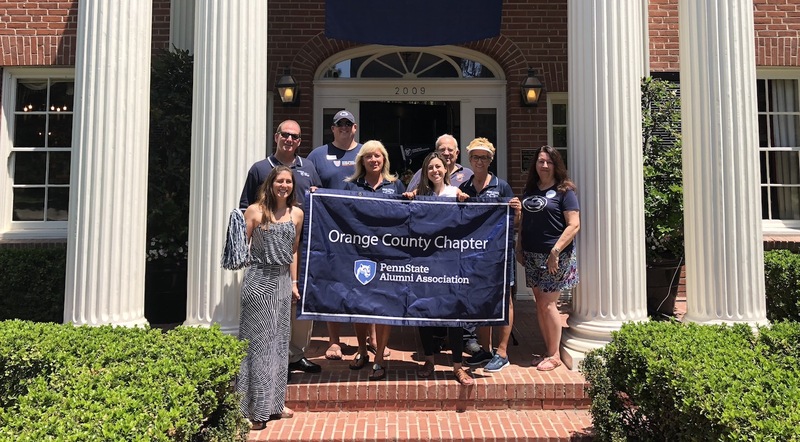 We are excited to announce that our chapter has just achieved Elm Level status, which is the highest Penn State Alumni group of distinction. This means that our chapter is in the uppermost tier of all Penn State’s affiliate groups. It’s our favorite time of the year! Fall is in the air! 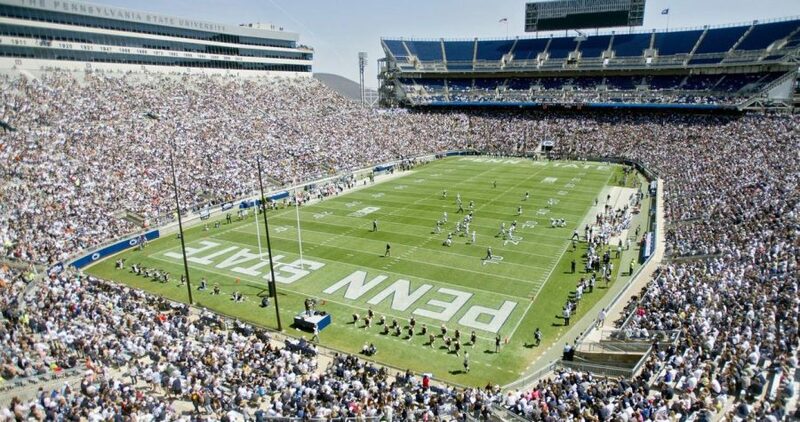 Students are getting settled into their dorms, classes are back in session, and Penn State football is back in action! 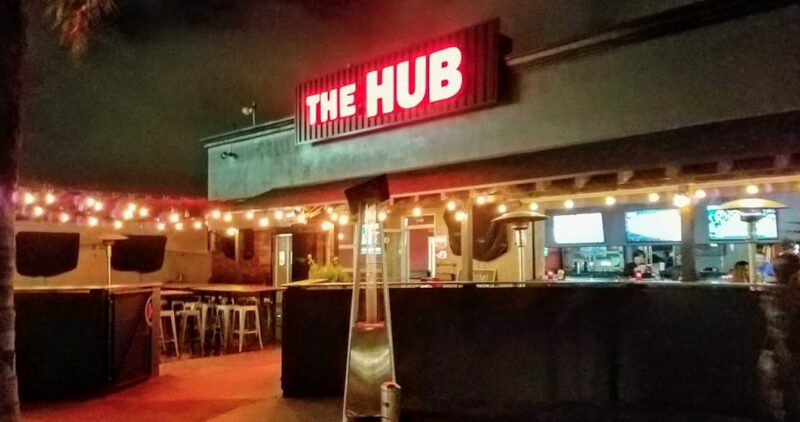 We welcome you to join us every game day this season at either of our two viewing locations: The Blue Beet in Newport Beach & JT Schmid’s in Tustin. Read on for more details and a glimpse at the schedule. 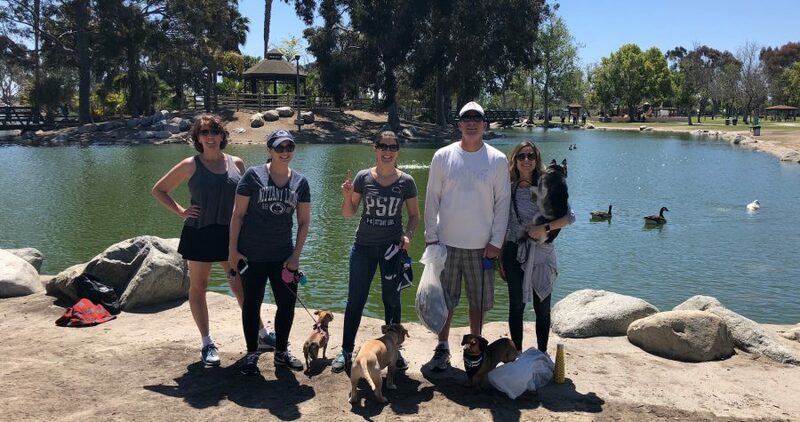 Our local Penn State alumni had a great time on our annual Summer Bar Tour in Newport Beach. I took the free Balboa Peninsula Trolley so I wouldn’t have to worry about finding a parking space by the Newport Pier. They started this last summer and I highly recommend it. It’s free to ride, and free to park your car in the parking lot at Tustin St & Avon St, off of PCH in Newport Beach. We started out at 2 pm at Baja Sharkeez. Only a handful of people were there that early, but by the time we left for the second bar, we were up to 9 people. 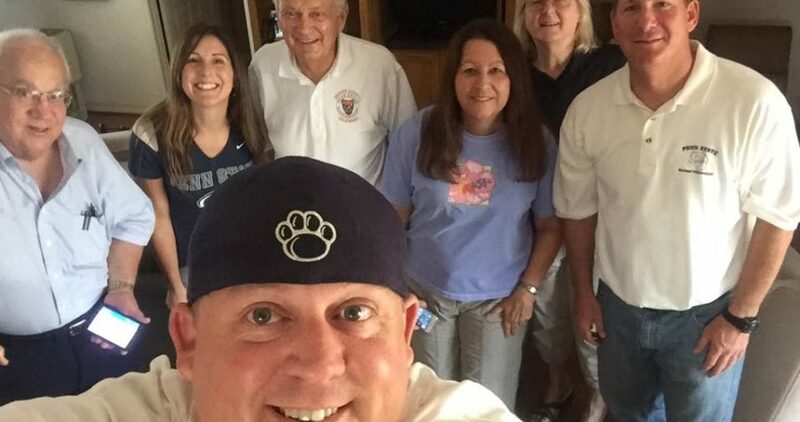 Some of the early birds were Brian Snyder, Patti & Terry Brennan, and their Penn Stater daughter Caitlyn, visiting from New York. Sharkeez gave us a drink special of buy one, get the second for 50 cents. They also provided a free appetizer platter to share. 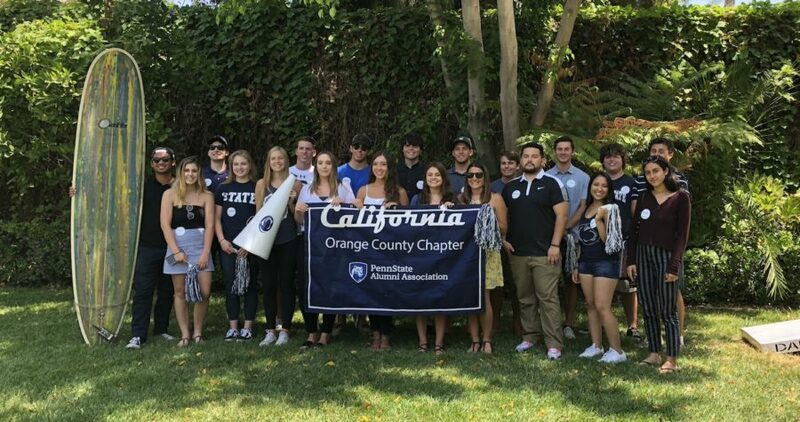 Despite the summer heat, the coolest students throughout Orange County & the Inland Empire had a blast on Sunday, July 29 at this year’s annual Student Send-Off! 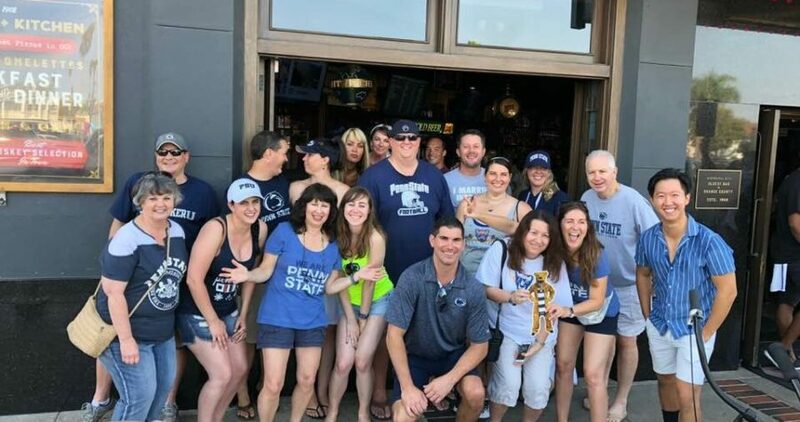 From as far away as Redlands, Penn Staters and their families converged on Santa Ana filled with both excitement and anxiety about the adventures ahead. There were 20 students, including incoming Freshman and Upperclassmen from various campuses (including World Campus! 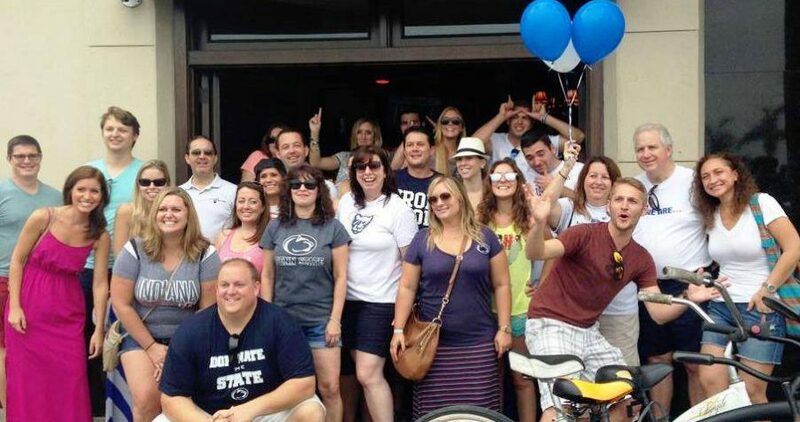 ), along with mothers, fathers, sisters, brothers and friends joining the Nittany Lion extended family. 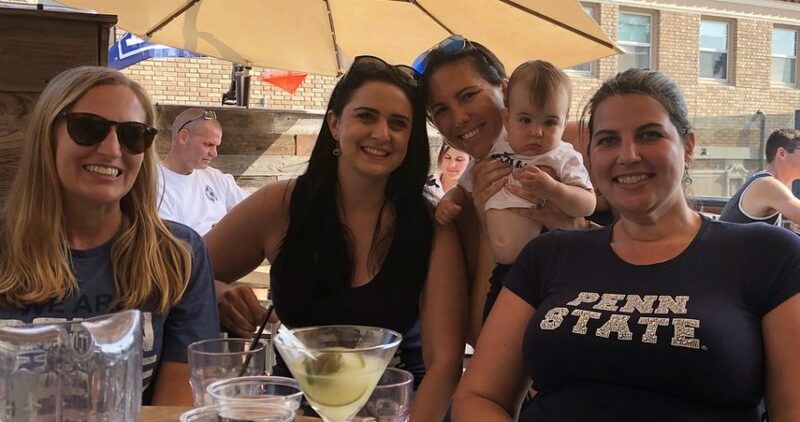 The attendees enjoyed getting to know other students in similar situations, either heading off from home for the first time or leaving loved ones behind for a few months to rejoin East Coast friends again. The party, generously hosted by Peggy and Dale Quayle, was a celebration of achievement and being a part of one of the most distinguished universities in the country. 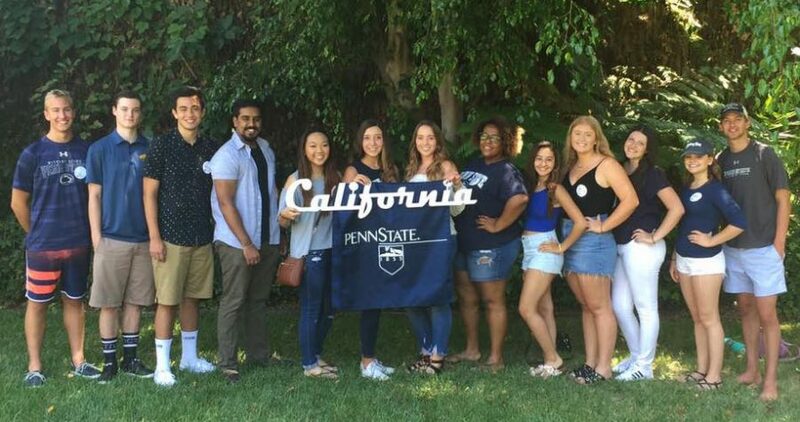 It also kicks off the next chapter ahead for the young and bright minds that will represent both Penn State and our Chapter’s area. At our last chapter meeting on June 21, we welcomed the following group of individuals to our board! Some of these folks have been on the board since it was founded back in 1988, and others just recently discovered our chapter this year. We’re excited to have such a diverse group of people working together and look forward to hearing some fresh ideas from our new members.